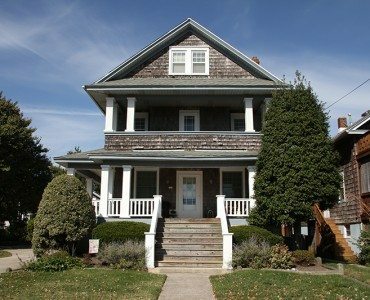 Relax at Our Traditional Beach House Steps from the Beach and Promenade, Walking Distance to Washington Mall, and all the sights. Our early 1900’s house, which has been fully renovated, is a great family house decorated in Pottery Barn Colors with casual comfortable furniture. 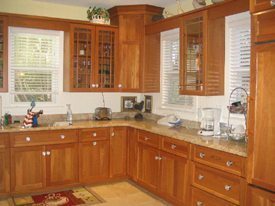 On the first floor, we have a large kitchen with all the modern conveniences, powder room. 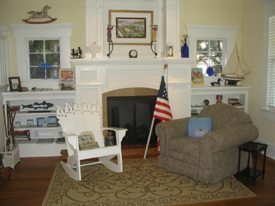 a large dining room with formal seating, large living room with TV and DVD player, and separate reading area and fireplace. You can sit out on the front porch and enjoy coffee or go out to the back deck and enjoy dinner during sunset. The kids can go downstairs to the finished carpeted basement to play ping pong or watch tv. 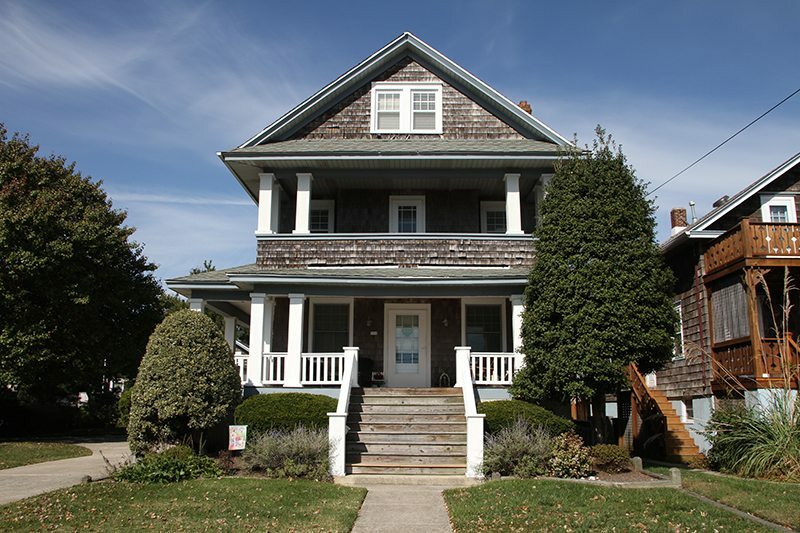 On the second floor, we have the master bedroom, king size bed with sitting area and tv, and private bathroom. 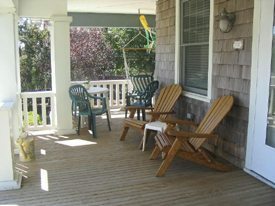 Off the master is a small porch where you can enjoy coffee in the morning with ocean views. There are two nice bedrooms with queen beds and another full bathroom. 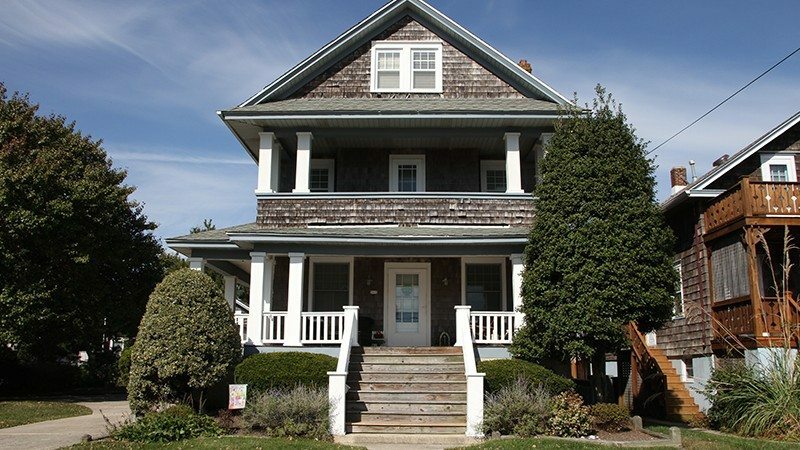 On the third floor, there is a large front bedroom with a queen bed which enjoys ocean views, another large bedroom with a queen bed in the back of the house facing the treetops of Cape May, and a middle bedroom with two twin beds, perfect for the kids. There is a large full bathroom on this floor. Flat screen TVs, upgraded cable, and the Internet. Also, beautiful landscaping and new garage doors, making this house a real delight! New in 2017, brand new comfortable sofas added. Also available to rent fall, winter, spring for holiday weekends or short getaways. 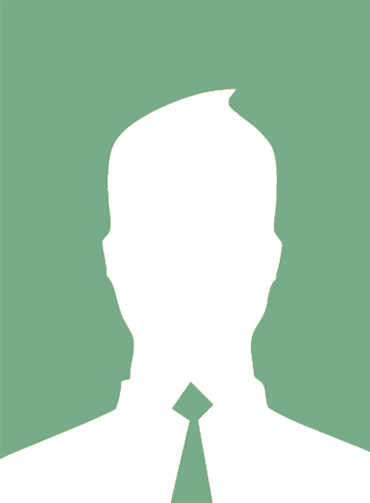 We will consider mid-week rentals or partial weeks. For more than a week rental we may be able to offer a discount. Please stay with us anytime as there is so much to do any time of year.